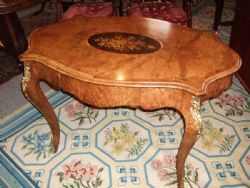 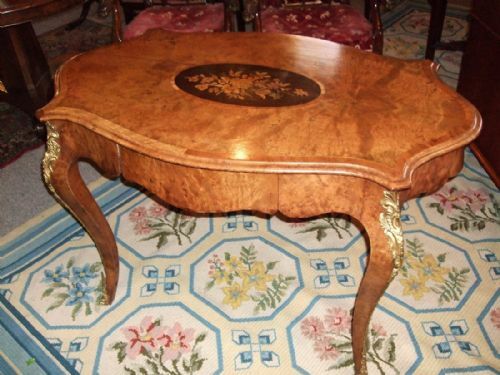 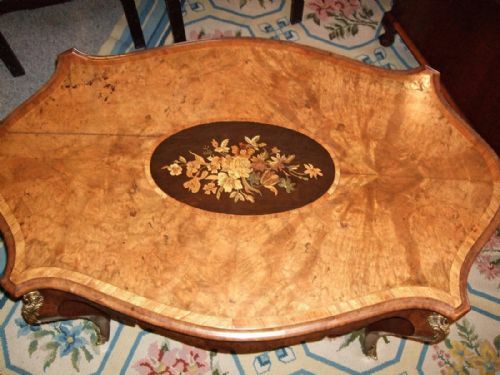 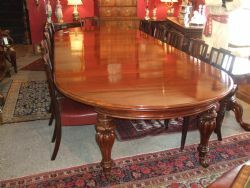 Regency Period Rosewood & Inlaid Breakfast Table of Good Size & Proportions. 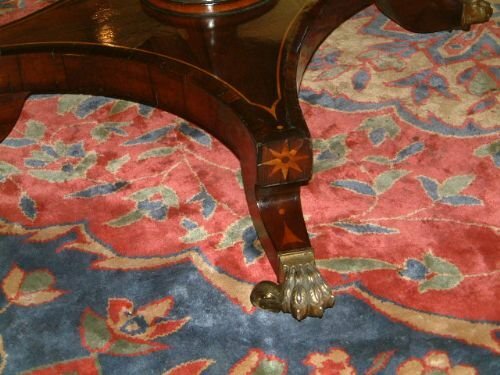 Superb Choice of Matched Veneers to the Top with Line inlay Supported on Turned Pedestal with Platform Base Inlaid with Star Motifs & Lines, Terminating in Lions Paw Castors. 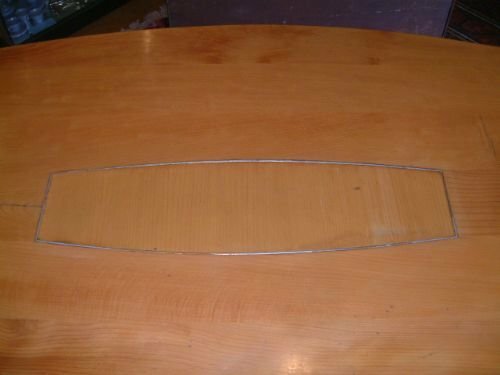 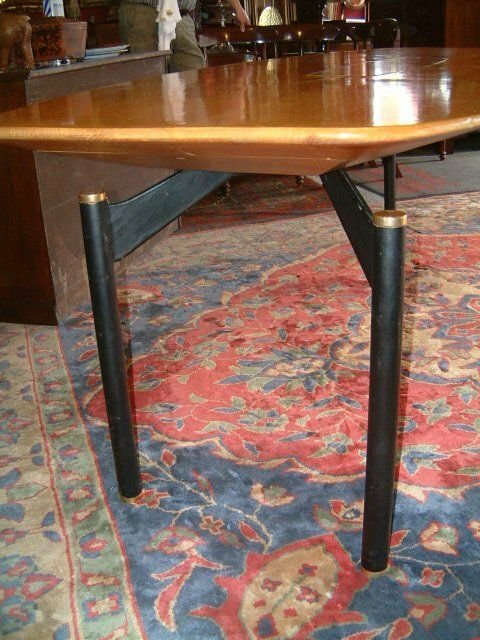 1960’s/70’ Ash Dining Table with Centre Panel with Silver Plated Inlay. 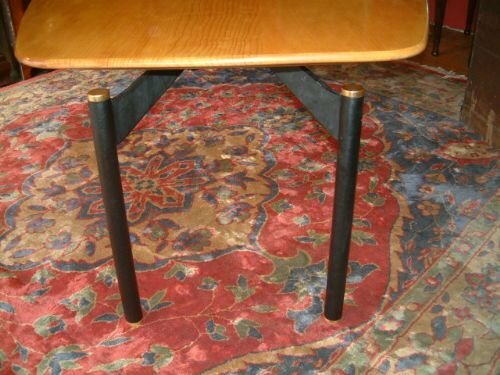 The Legs are Covered in Leather with Gilt Cappings. 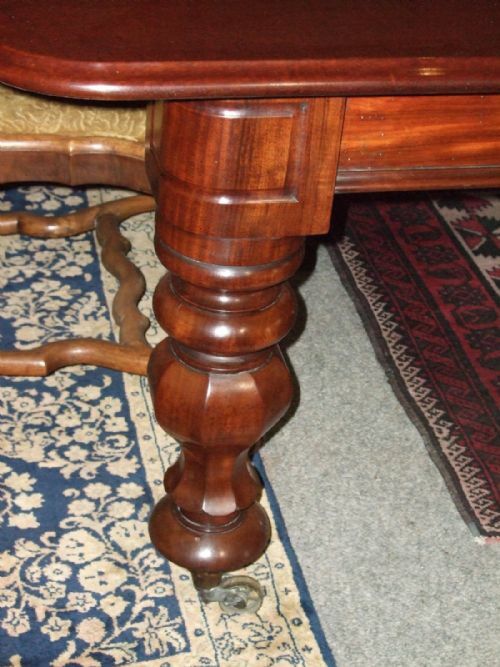 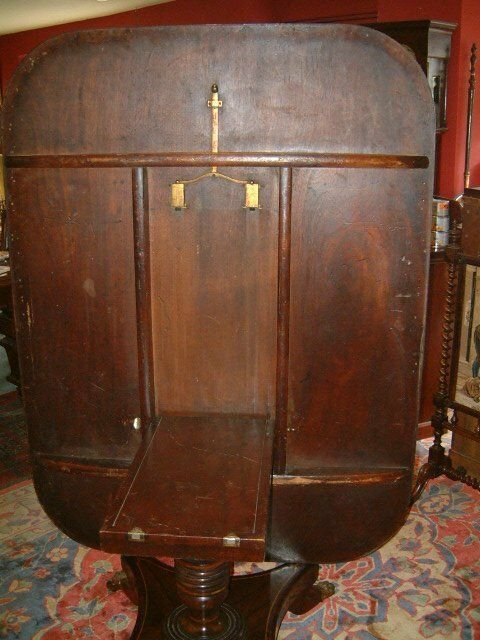 The Superb Mahogany Mirrored Tilt Top Supported on Turned Columnn with Sabre Legs. 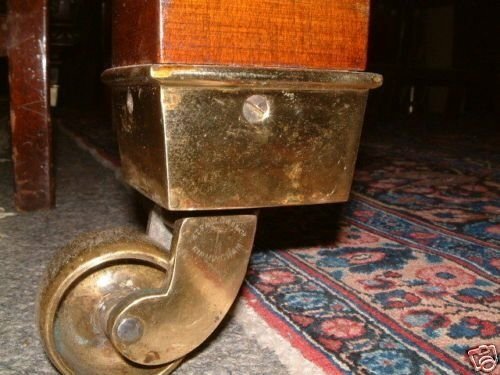 Windout mechanism, lovely detail to the leg, on Polished Brass Casters, Stamped "H.T.Fallows & Co Birmingham". 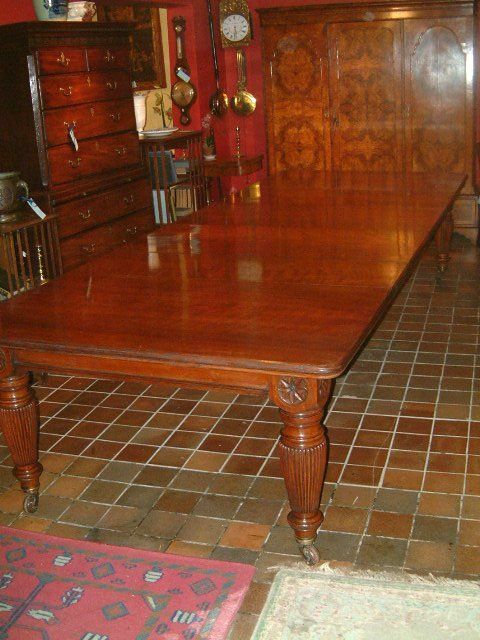 One of the best Extending Dining Tables we have had in 30 years dealing! 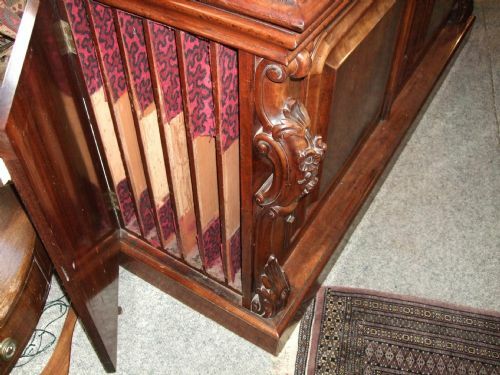 With Wind Out Mechanism, Fully Restored. 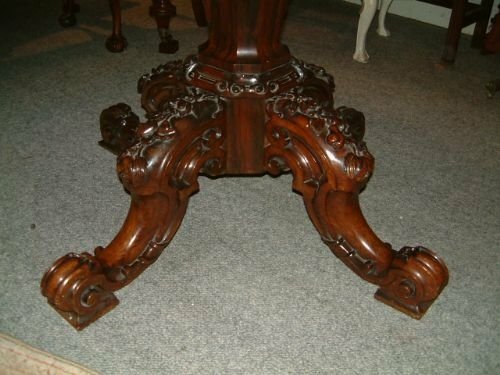 Superb Cabriol Legs with Shell Motif. 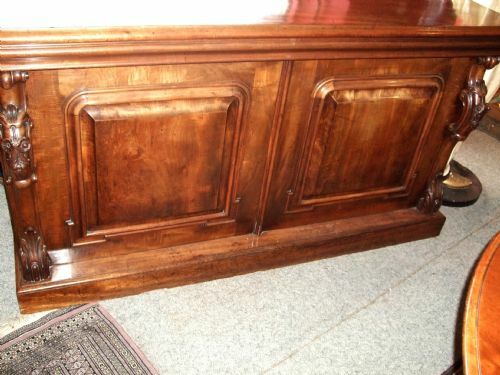 All Original & a Rarity with the Leaf Cabinet Sideboard for 5 Leaves. 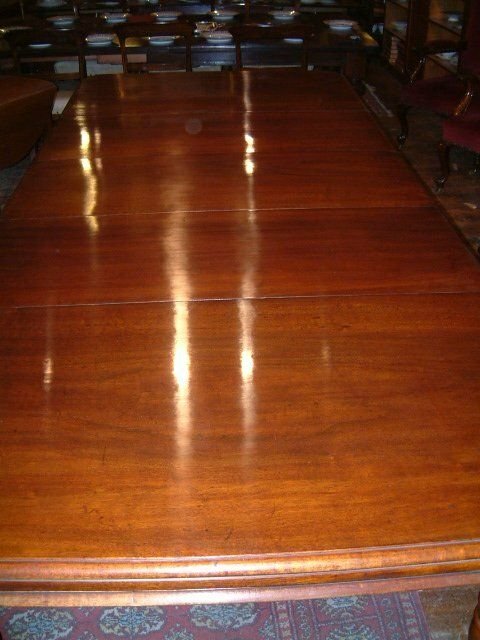 Superb Mahogany Oak & Pollard Oak Extending Dining Table C.1860 Excellent Colour & Patination Fully Restored. 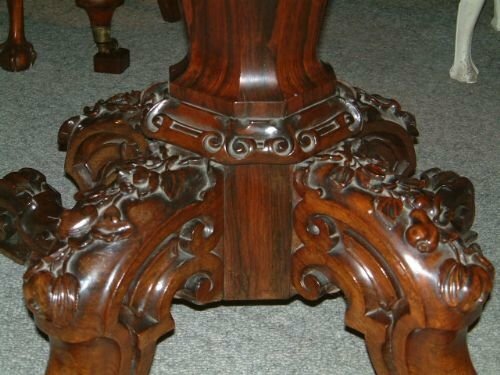 With Carved Decoration Supported on Carved Cabriol Legs with Castors. 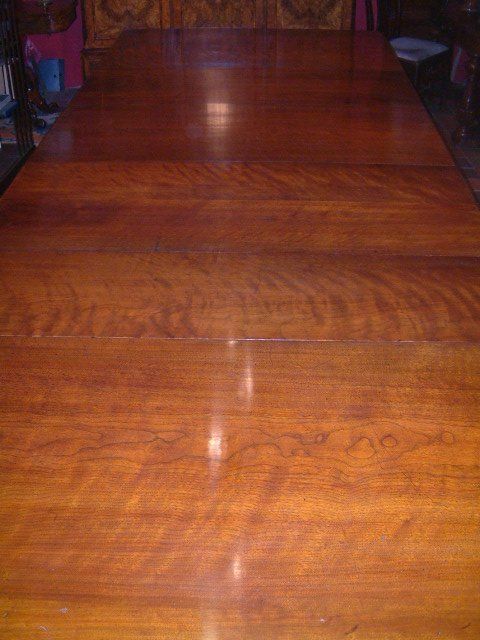 Excellent Colour & Figuring to the Mahogany. 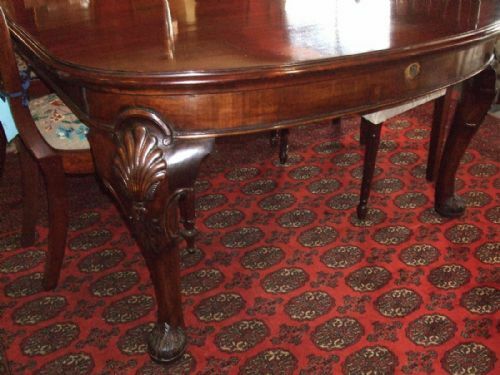 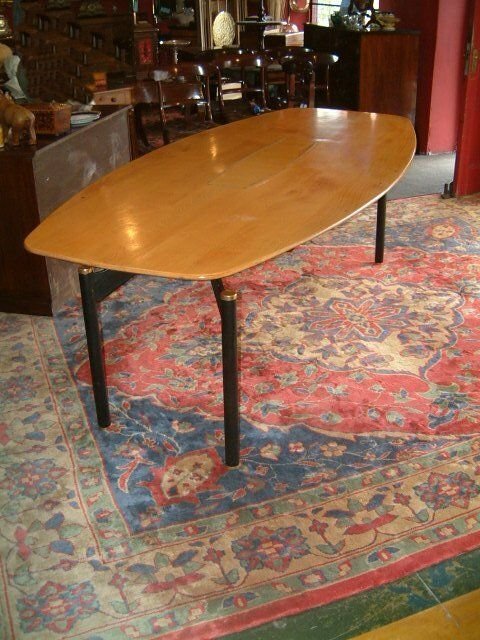 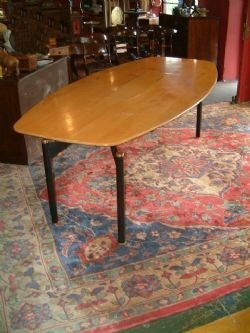 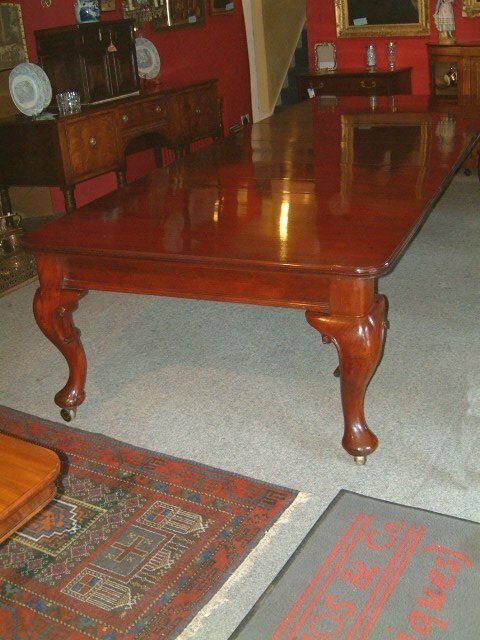 Superb Early Victorian Mahogany Extending Dining Table with Four Leaves, Wonderful Colour & Figuring Supported on Stretcher Base with Brass Castors.The Brass Table Forks locate within the Frame when not in Use, always a good sign of Quality.Fully Restored. 45" Wide x 29" High with set of Glass Castor Cups. 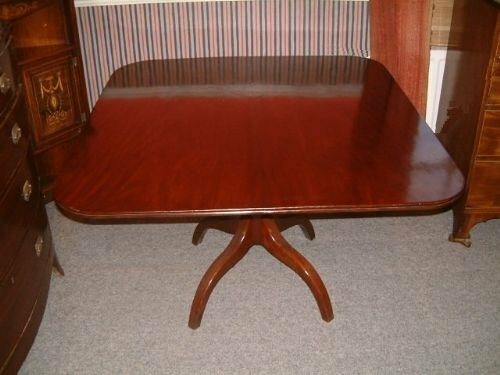 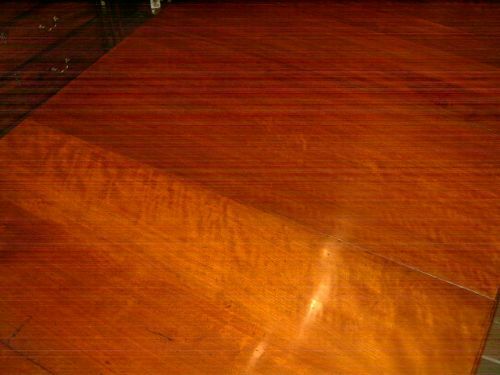 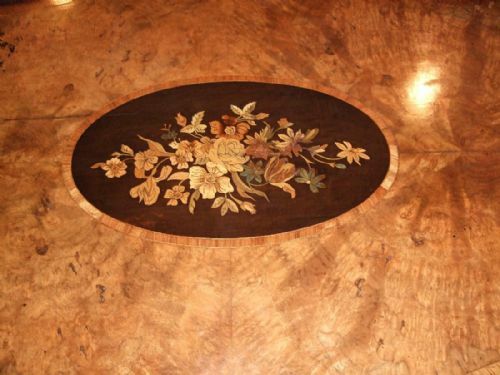 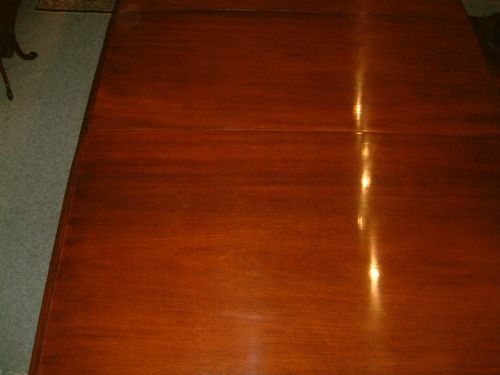 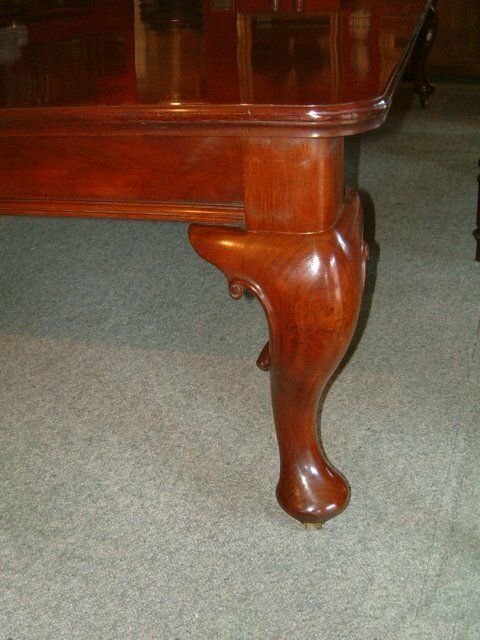 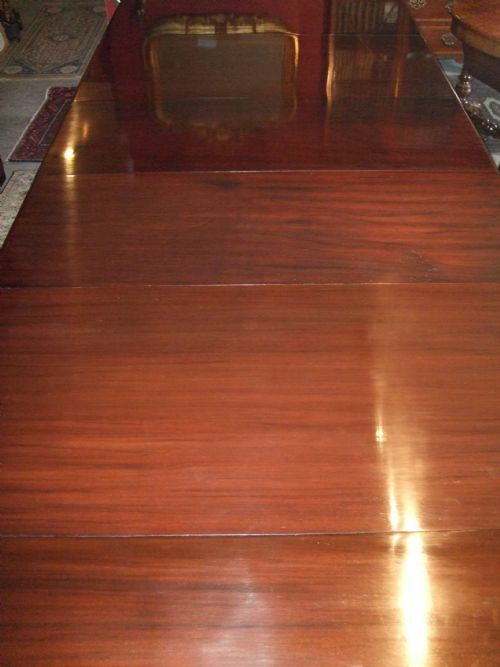 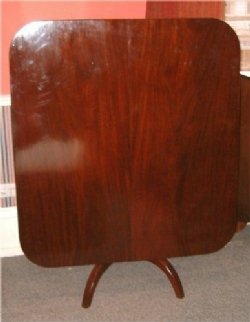 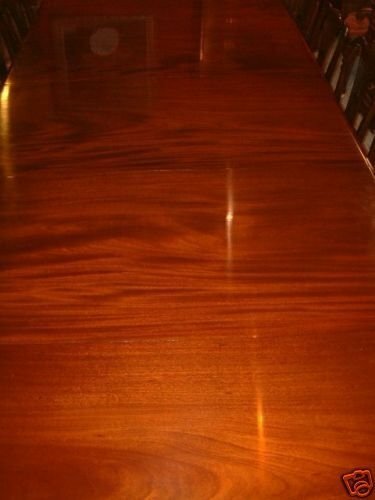 Restored Regency Mahogany Extending Dining Table with 4 Leaves. 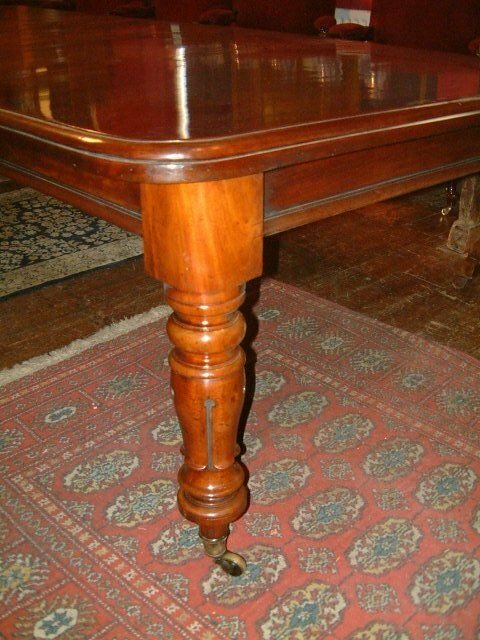 Lovely Figuring to the Mahogany, Supported on Reeded Legs with Brass Castors. 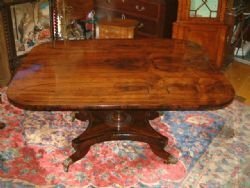 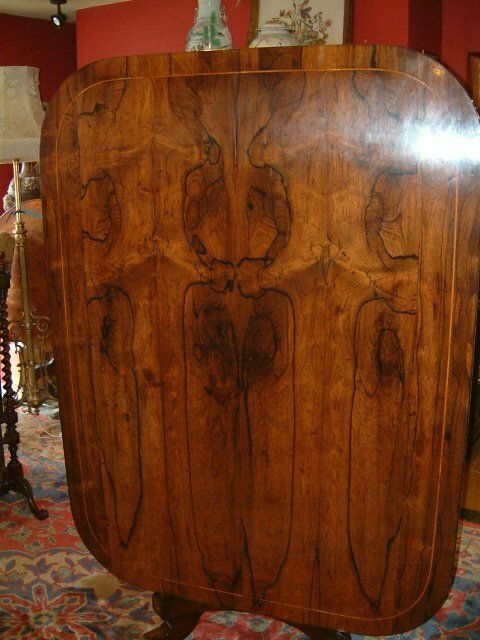 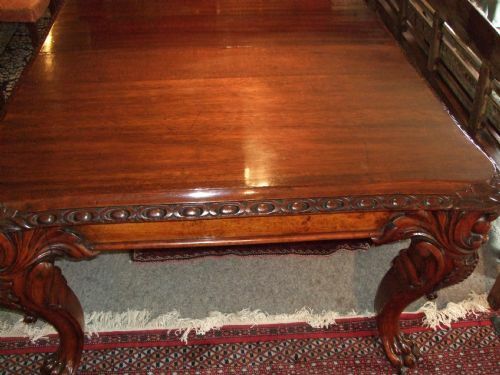 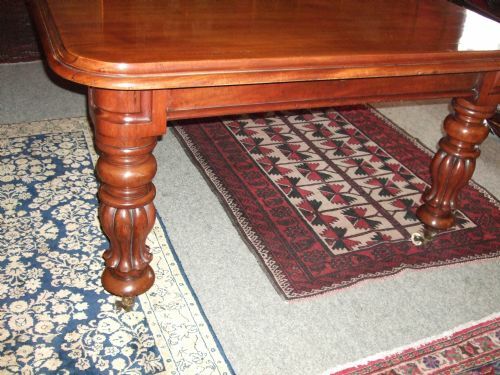 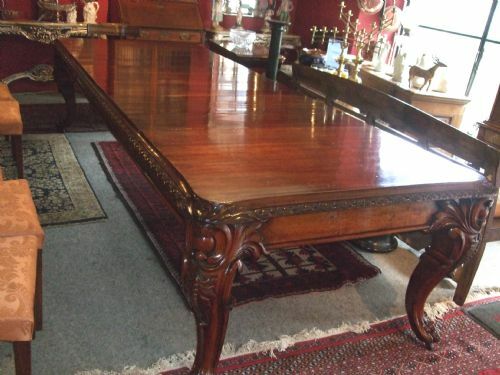 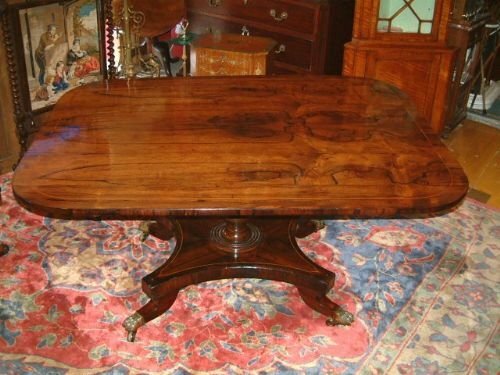 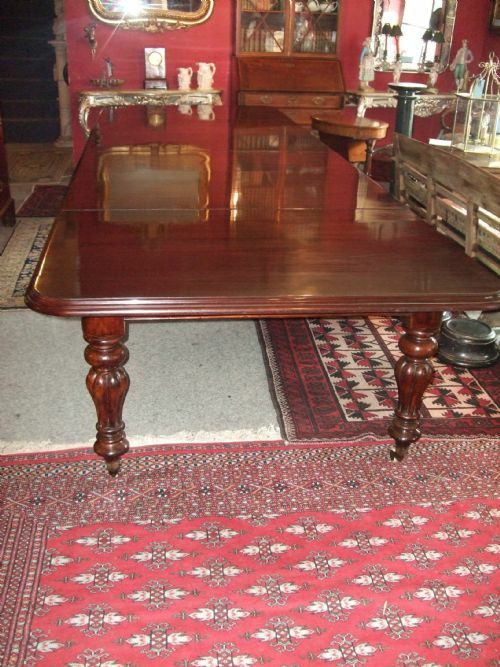 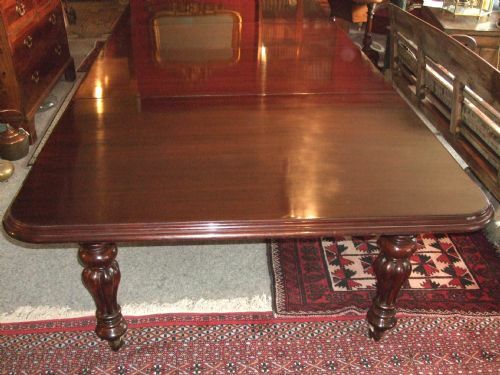 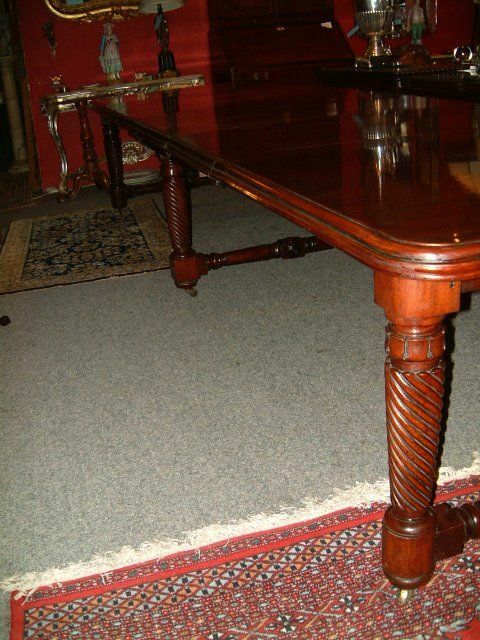 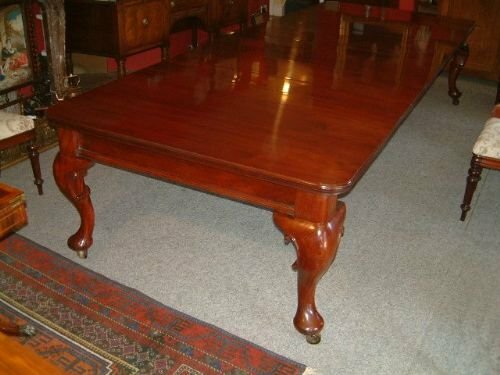 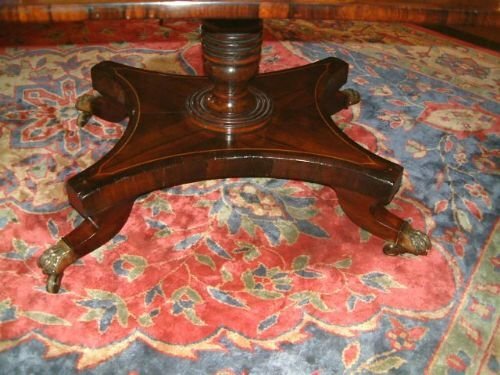 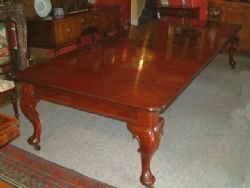 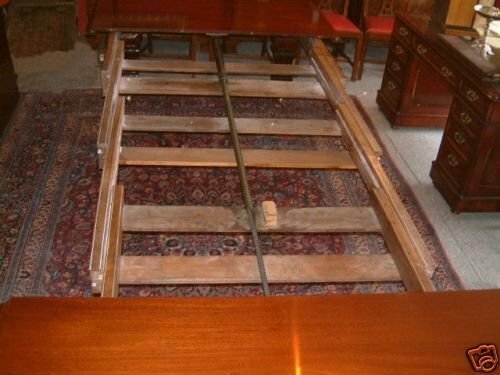 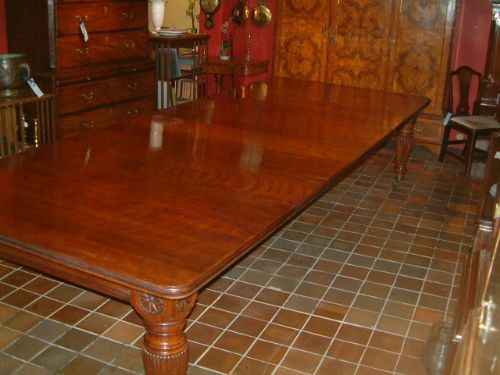 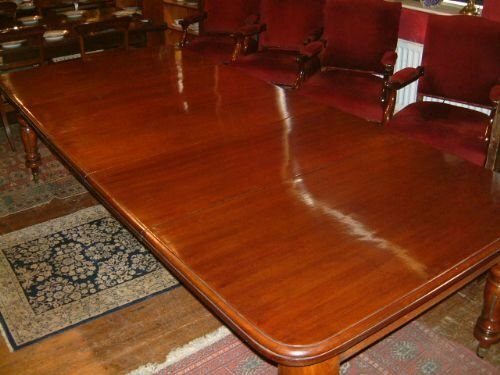 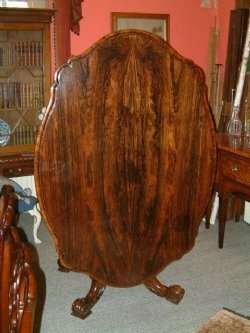 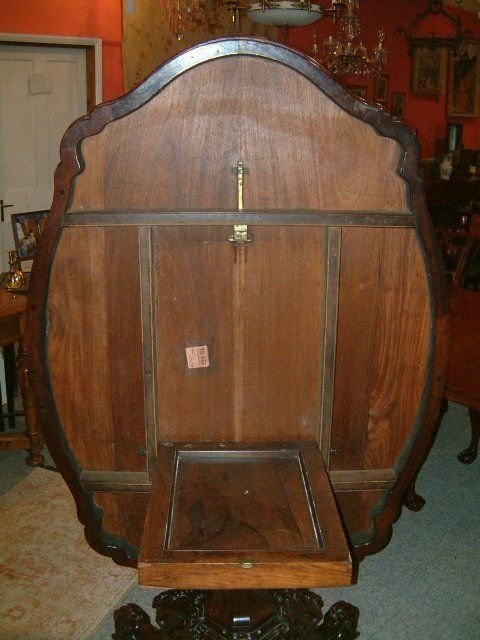 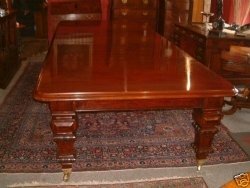 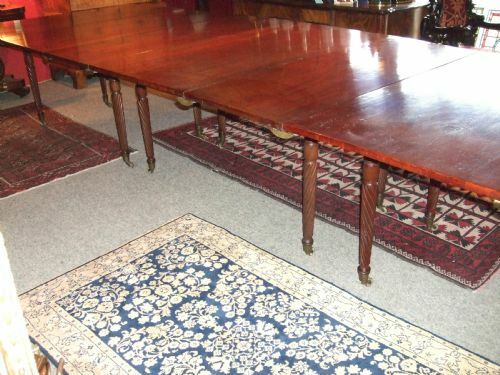 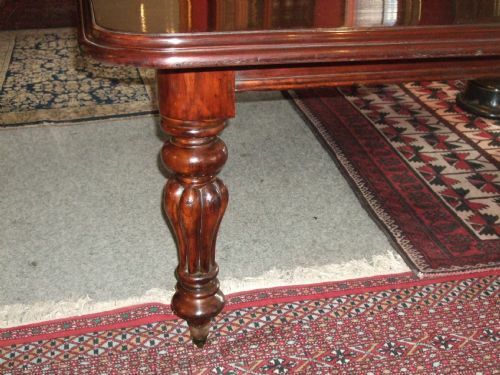 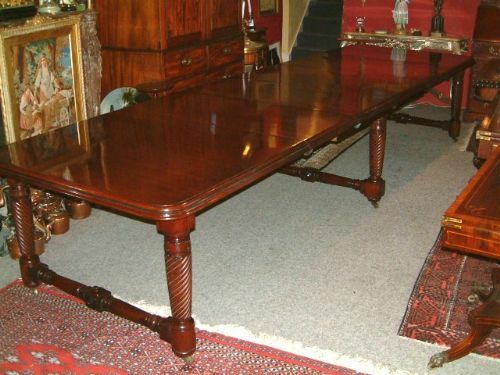 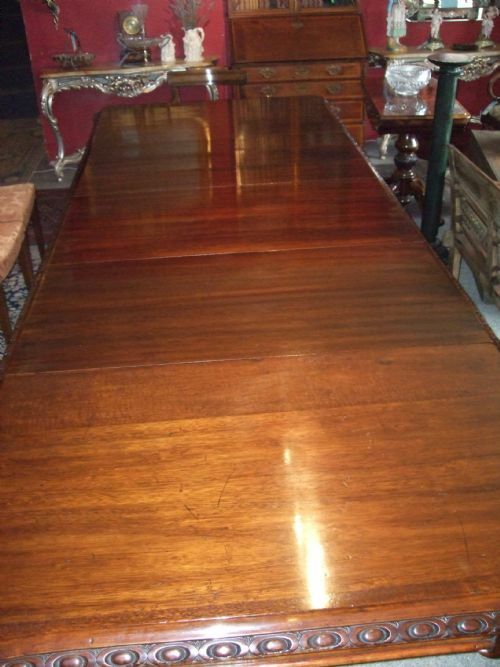 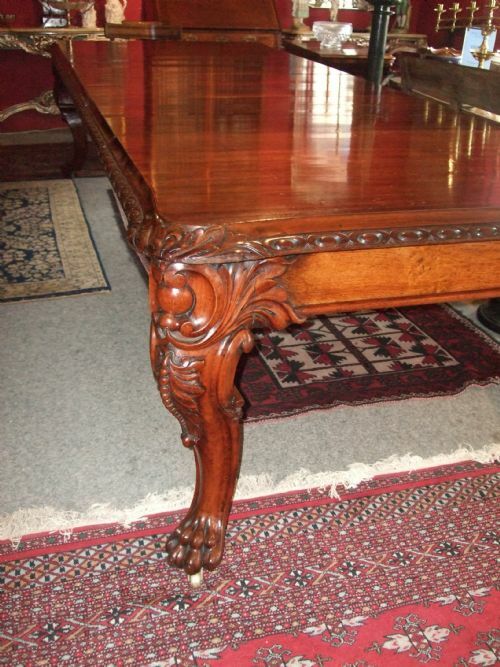 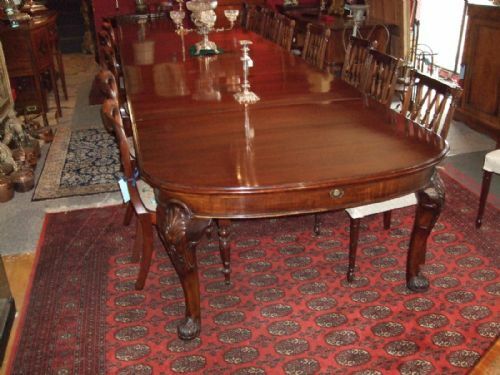 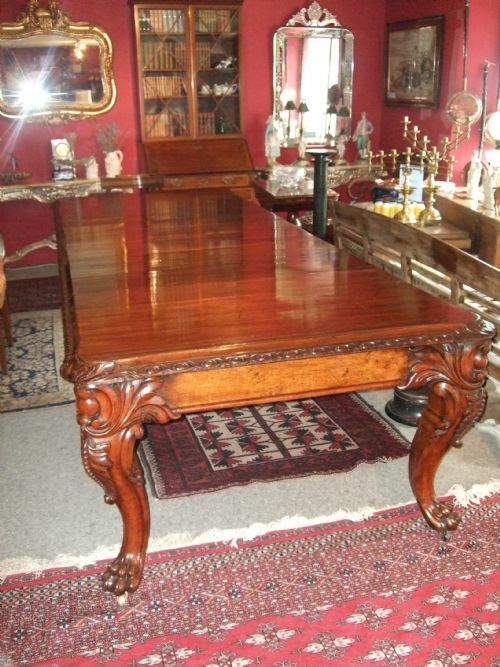 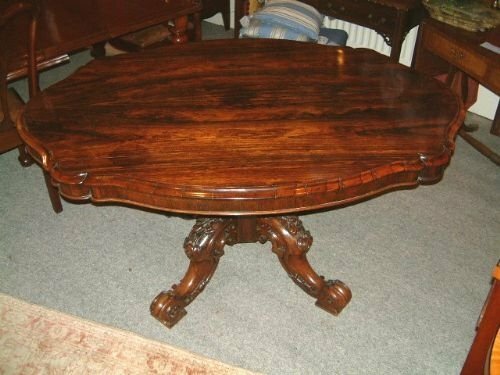 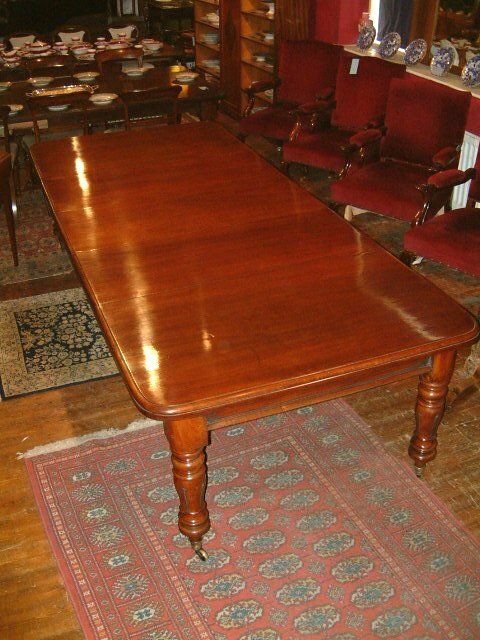 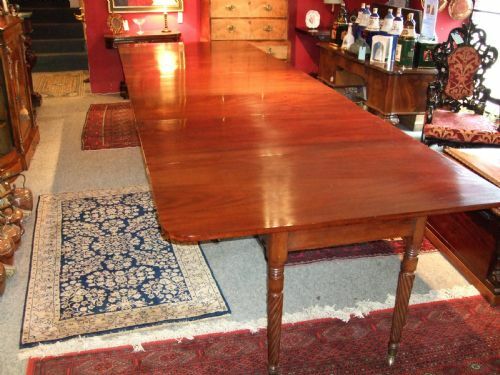 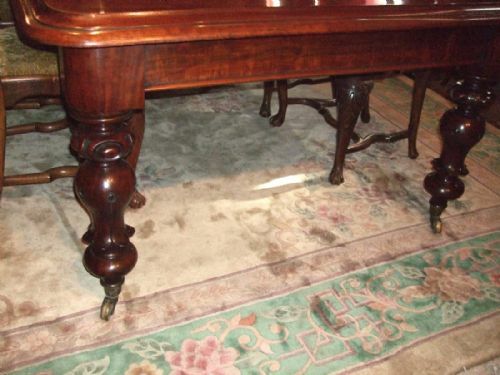 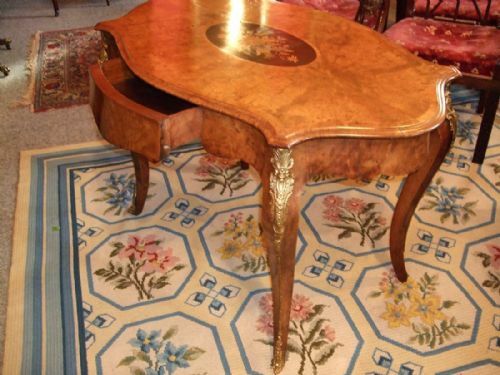 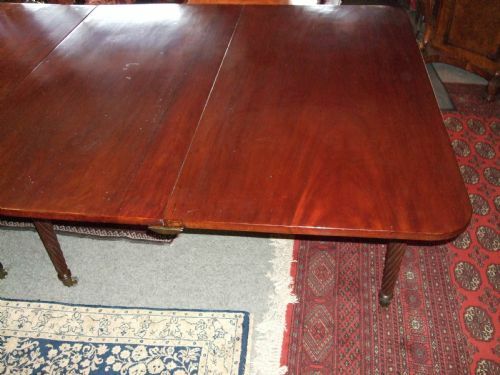 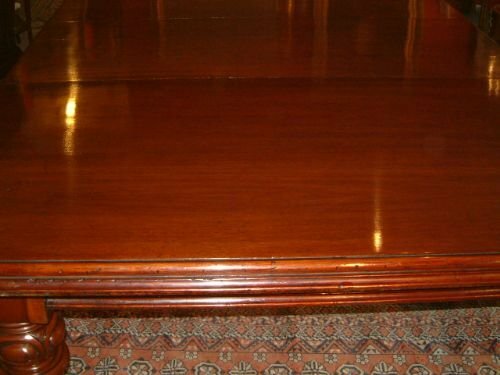 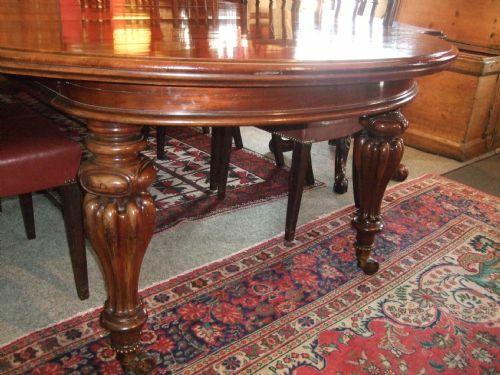 Superb Victorian Mahogany Extending Dining Table with 3 Leaves. 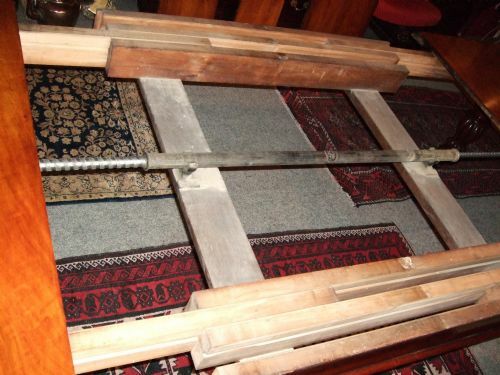 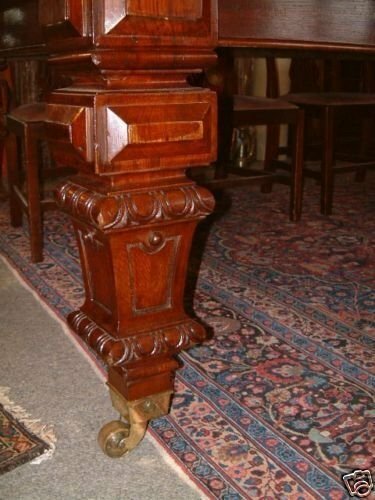 All Original, Excellent Colour & Figuring to the Top Supported on Baluster Legs Terminating in Brass & China Casters. 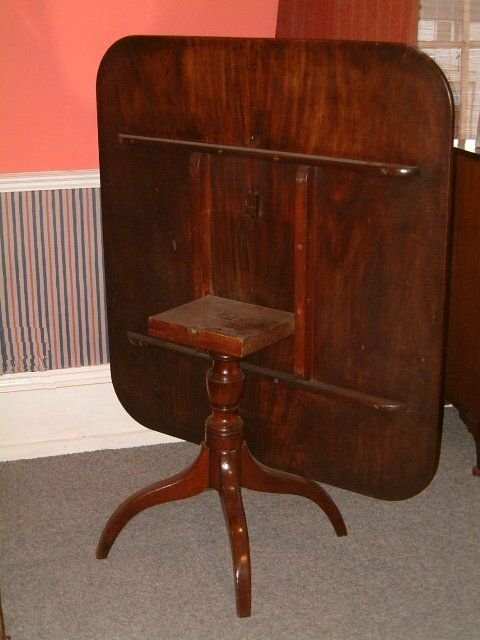 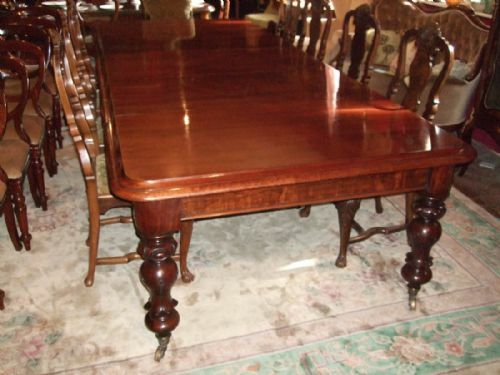 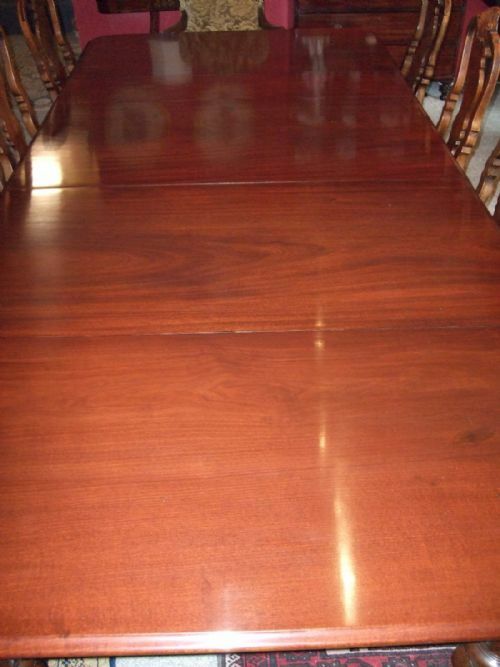 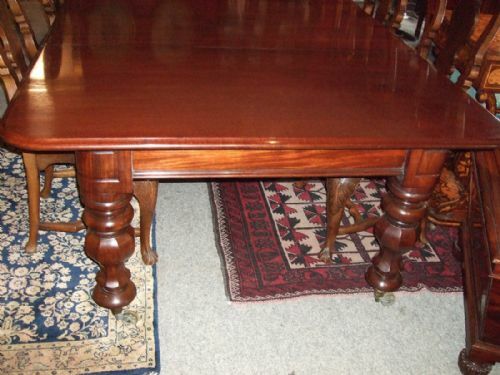 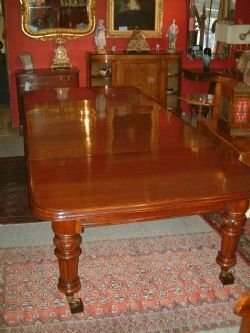 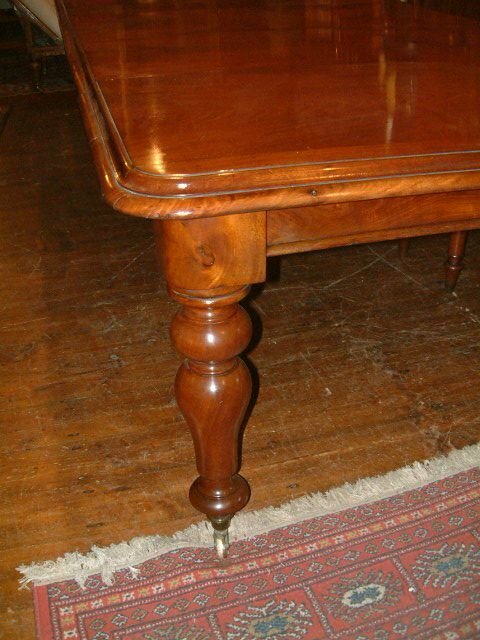 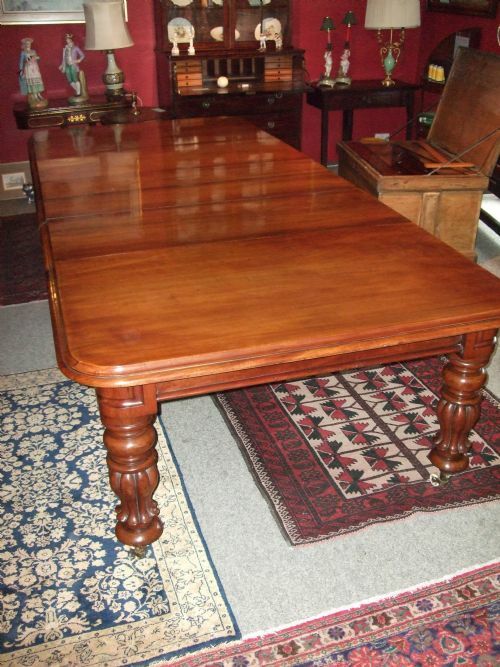 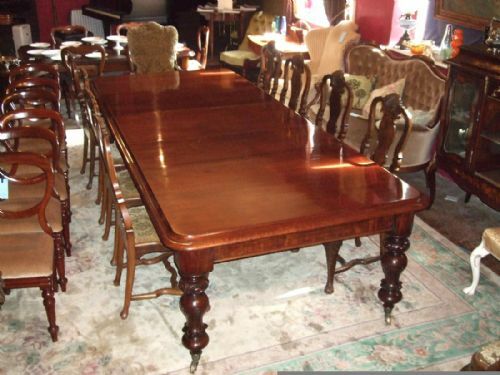 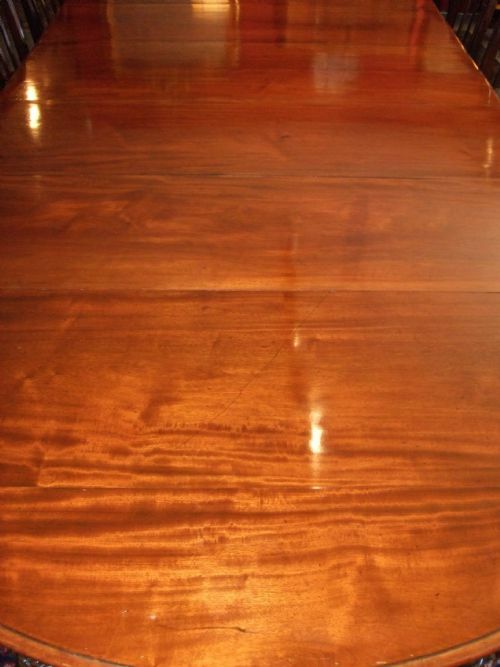 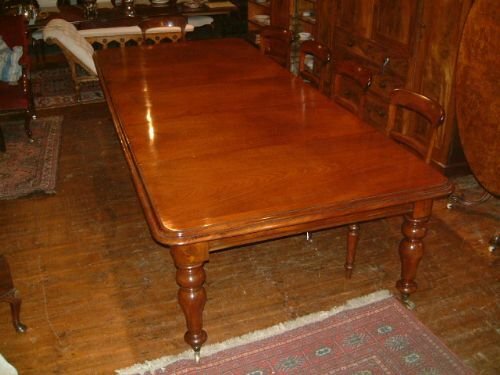 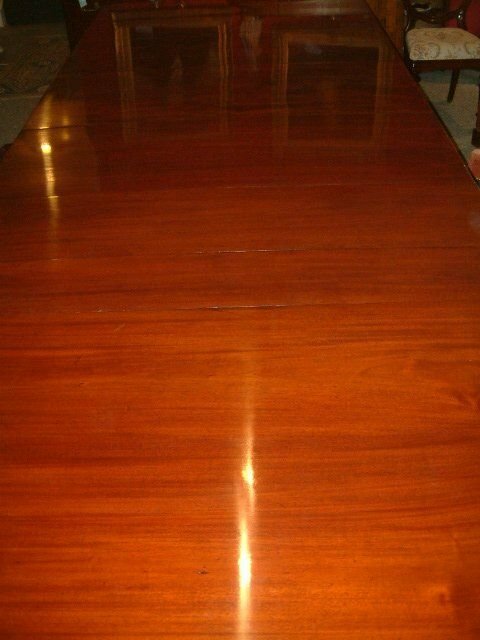 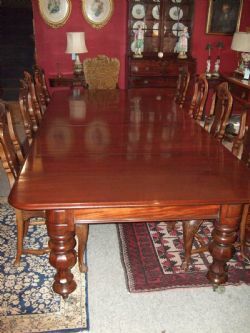 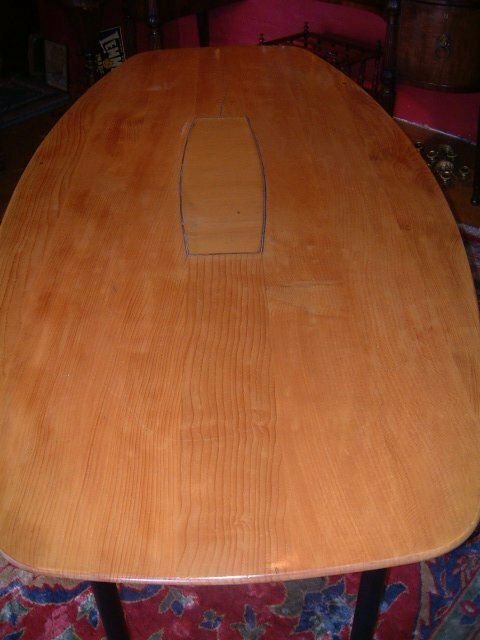 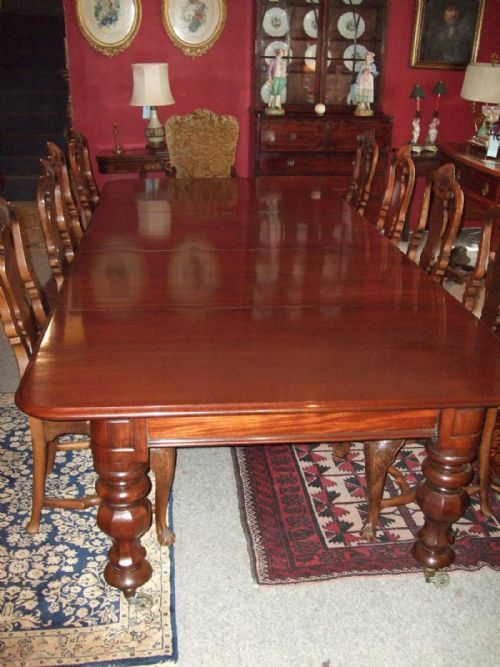 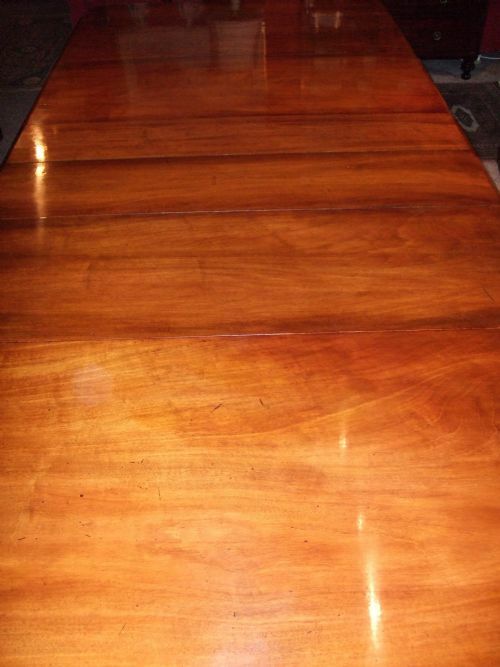 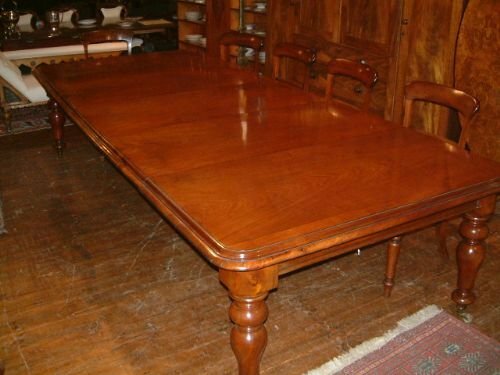 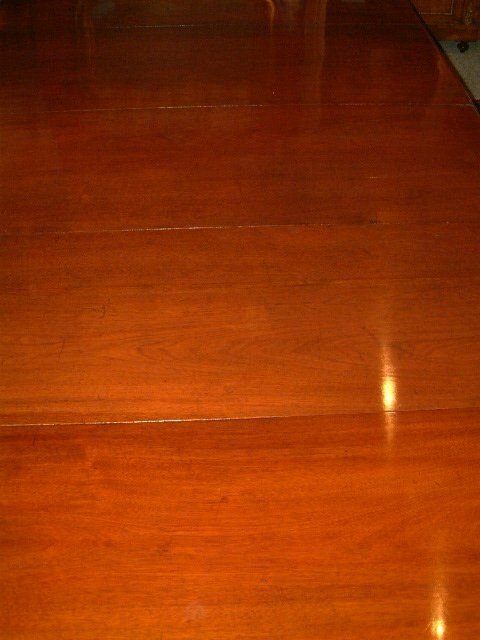 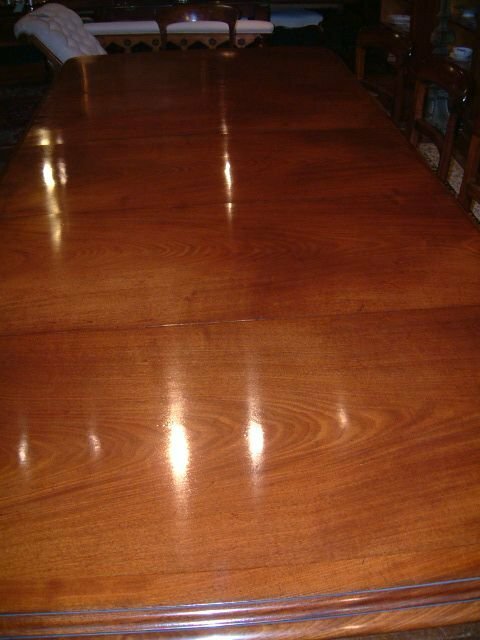 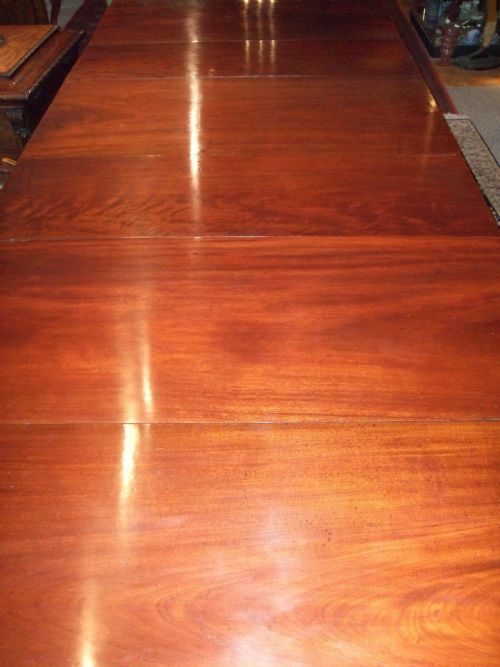 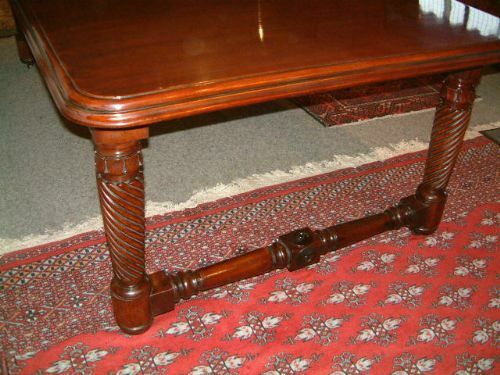 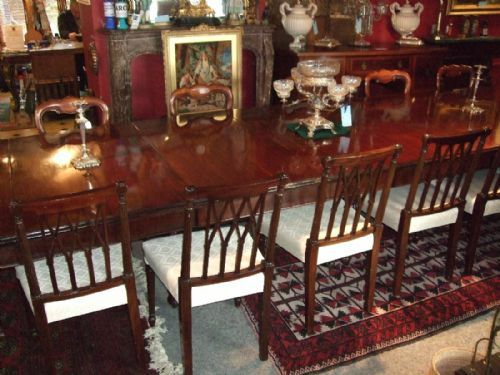 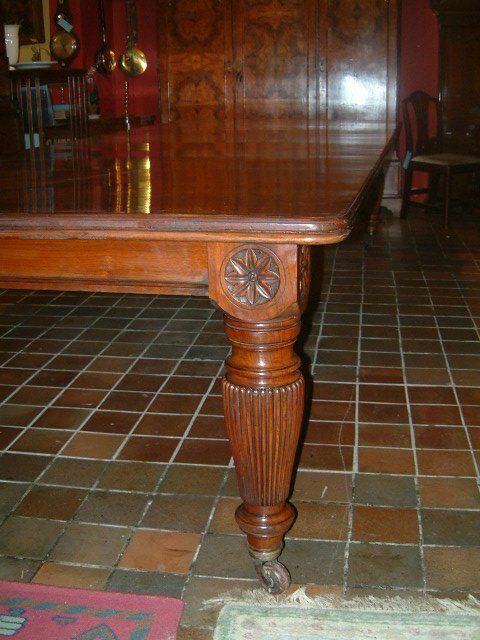 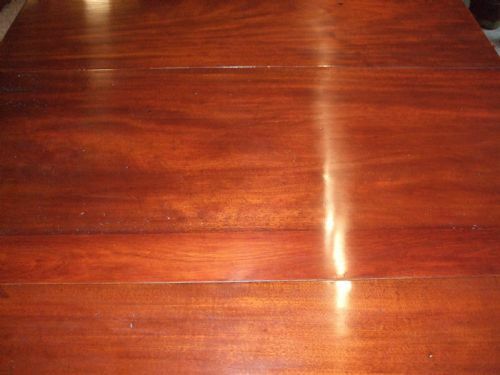 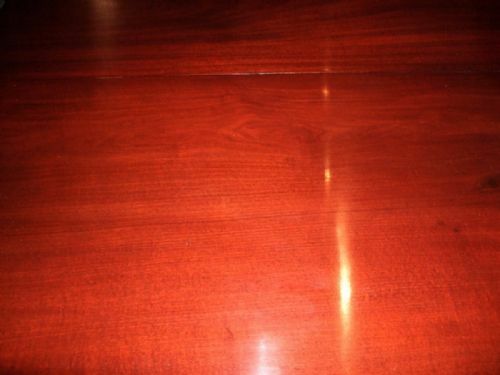 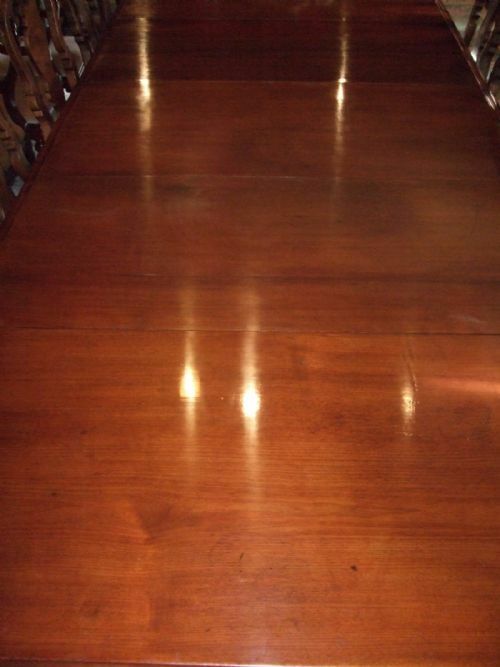 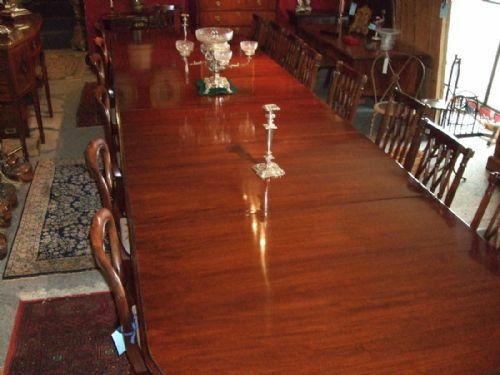 Victorian Mahogany Wind Out Extending Dining Table with 3 Leaves, Fully Restored. 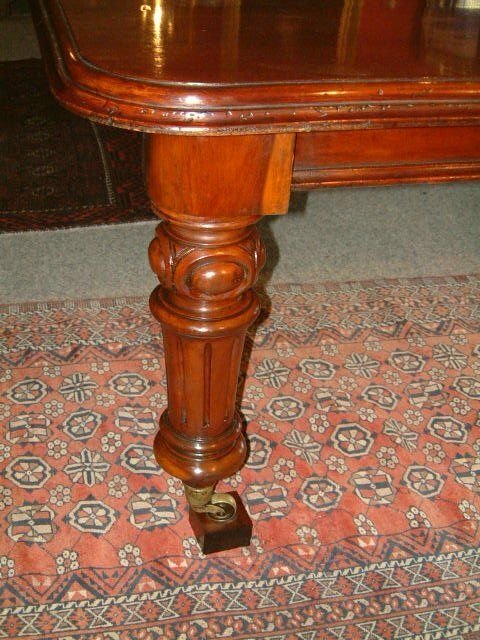 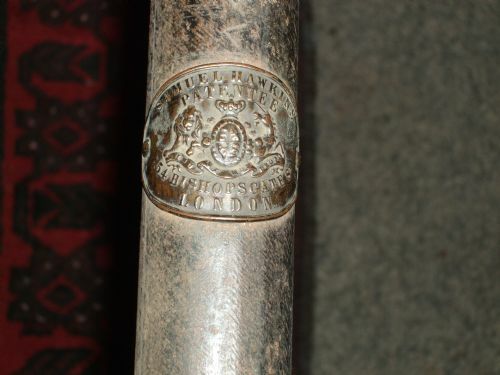 Bearing Mechanism Label "Samuel Hawkins Patentee Bishopsgate London"
Beautiful Colour & Patination, Supported on Lozenge Shaped Legs with Brass Castors. 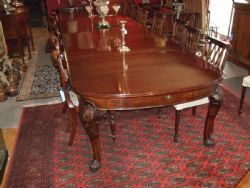 Victorian Walnut Windout Extending Dining Table with 4 Leaves, Superb Figuring & Colour Supported on Reeded & Carved Legs with Brass Castors. 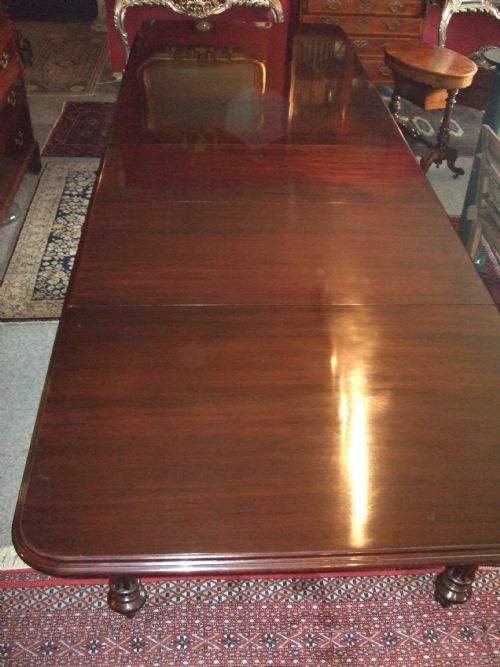 Victorian Extending Mahogany Dining Table all Original with 3 leaves.Excellent Colour and Figuring. 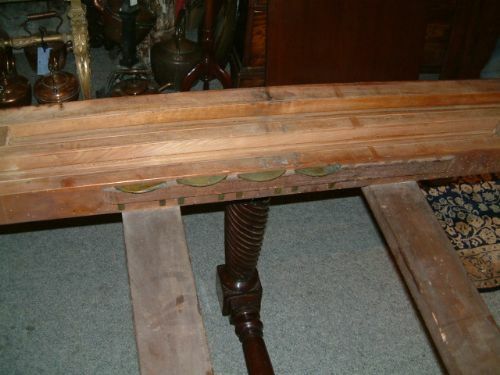 Supported on Baluster Legs with Brass & China Castors.